Kiln dried logs delivered free to any UK mainland address. 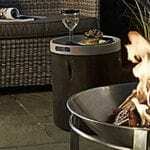 FirewoodFund, the place to buy Kiln Dried Logs online. We’ve got the ‘Crème de la Crème’ of Firewood for sale online – with free delivery to any address across the United Kingdom. Checkout our range of Kiln Dried Logs. We often hold seasonal sales, so if you buy firewood logs online during warmer months, you will benefit from discounts (subject to having room in your wood log store!). Keeping your house and your toes toasty doesn’t need to be a chore. It’s pretty simple really, the more moisture you have in your logs…the harder they’ll be to light and the less heat they’ll give out! With the passing of time, burning logs that haven’t properly dried will start to cause damage to your stove…and, quite frankly, who wants a repair bill that they can avoid? There are hundreds of traditional, old school log sellers out there. Which is all well and good…BUT – their seasoned logs will require another few years to dry out before you can even attempt to get them friendly with a naked flame. When you buy a product like ours you buy it to use right away, don’t you? A piece of wood isn’t like a fine Rioja. You don’t buy it to sit on the shelf or the rack. You buy it because you want to use it right away. That’s why our Kiln Dried Logs are the way forward. Every single piece of wood that we’ll ever, ever send you will have spent a few more days kiln drying than your average log. The temperature is kept very low to make sure that everything is dry on the inside…as well as the outside. In this day and age, you don’t need me to tell you that businesses like to cut costs. 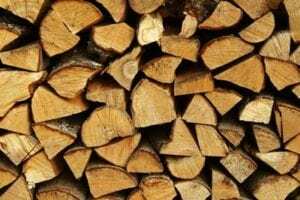 And, sending wood out as quickly as possible, without drying it as thoroughly as possible, may well be cheaper for the seller…and it may well be a little cheaper for the buyer, but it damages the wood and your beloved log burner in the long run. Not only that, but ash is much denser this way…meaning that it’s a lot easier to get your fire going and keep it afloat. I mean…when you’ve got guests, dinner, good wine and a great movie on the go…you don’t really want to spend time sweet-talking your fire into getting a move on, do you? If you do…well…you’re probably in the wrong place. Buy quality Kiln Dried Logs today.